There is no substitute for expertise.HOA law is what we do. Posted by Steven J. Tinnelly, Esq. In the recent case of Dynamex Operations West, Inc. v. Superior Court, the California Supreme Court set forth a new test that employers should utilize to determine whether their workers are appropriately classified as independent contractors or employees. (Dynamex Operations West, Inc. v. Superior Court (2018) 4 Cal. 5th 903.) The new test will likely have a significant impact on the obligations and liabilities of employers for matters involving payroll taxes, worker’s compensation insurance, IRS reporting, and minimum wage and overtime requirements. In light of the Dynamex decision, all California employers, like homeowners associations, should re-evaluate whether they have appropriately classified their third-party vendors as independent contractors. The Supreme Court simplified the test that was previously used to classify workers. Prior to the decision in Dynamex, a multi-factor test was utilized. The principal factor was whether the employer had the right to control the manner and means in which work was performed. However, the courts also considered several other secondary factors, such as whether the employer could discharge the worker at will; the level of skill required to perform the work; whether the employer supplied the tools and location to work; the length of time to be worked; the method of payment (whether by time or by job); whether the worker usually performed this type of work; and the subjective beliefs of both parties. This “totality of the circumstances” test created a substantial amount of uncertainty among employers. The new Dynamex test, referred to as the “ABC Test,” makes is easier for employers to determine in advance whether their workers should be classified as employees or independent contractors. Although the new test is easier to utilize, employers will now find that it is more difficult to classify their workers as independent contractors. The ABC Test begins with the presumption that all workers are employees. To classify a worker as an independent contractor, the employer bears the burden of proving three elements. First, the worker must be free from the employer’s control and direction, both in actuality and in contract. This prong is essentially a restatement of the principal factor in the pre-Dynamex test, which requires genuine independent contractors to control the manner and means in which they perform their own work. Second, the worker must perform work for the employer that is outside of the employer’s usual course of business. For example, a homeowners association would likely be able to satisfy Part B, when dealing with workers hired to perform janitorial or landscaping services. This is because homeowners associations are not in the janitorial or landscaping business; rather, homeowners associations are in the business of managing and maintaining Common Interest Developments. Third, the worker must be customarily engaged in an independently established trade, occupation, or business of the same nature of work performed for the employer. Using the example from above, a homeowners association could satisfy Part C of the test, if it could show that its janitor or landscaper provides the same janitorial or landscaping services for other homeowners association as well. True independent contractors have their own business cards, a separate place of business, and their own book of clients. It is important to note that the Supreme Court specifically limited its Dynamex holding to disputes involving Wage Orders issued by the Industrial Welfare Commission. In order words, the case’s holding should only be applied to lawsuits that allege violations of Wage Orders (i.e., involving meal and rest breaks and overtime wages). At this point, it is uncertain whether the new ABC Test will be applied to all other legal claims brought against employers. Nonetheless, homeowners associations that routinely hire independent contractors should carefully re-evaluate their hiring procedures to ensure that their workers are properly classified under the ABC Test. -Blog post authored by TLG Attorney, Sarah A. Kyriakedes, Esq. Many condominium associations face problems due to a misunderstanding of how their association’s policies of insurance operate and should be utilized—especially in connection with property damage emanating from broken pipes or plumbing fixtures. Those problems include, among others: (a) denying owners the benefit of the insurance coverage to which they are entitled; (b) having the association assume broader repair responsibilities than what it legally must or should; and (c) failing to adopt policies to allow for losses to be resolved in consistent, equitable and cost-efficient manners. 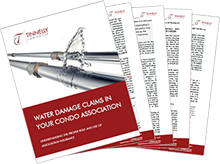 The article, entitled “Water Damage Claims in Your Condo Association,” is available for download from our firm’s library. You can access the article by clicking here. Solar Panels on Common Area Roofs; Have a Policy Yet? The California Solar Rights Act (“Act”), found at Civil Code §§ 714 and 714.1, provides certain protections for homeowners seeking to install Solar Energy Systems (i.e., solar panels) on their properties (“Systems”). The intent of the Act was to prevent associations from broadly banning Systems for aesthetic reasons—whether through an explicit ban, or through onerous architectural restrictions that greatly increase System costs or reduce performance. To that end, the Act rendered void and unenforceable any provision of an association’s governing documents that “effectively prohibits or restricts the installation or use of a solar energy system.” Civ. Code § 714(b). The Act does permit associations to place “reasonable restrictions” on the installation or use of Systems, as defined in Civil Code § 714(b). However, in reality, those “reasonable restrictions” are extremely limited in scope. To illustrate, any restriction which increases the cost of a System by more than $1,000, or which decreases its performance by more than ten percent (10%), from what was originally proposed by the homeowner is not a “reasonable” restriction and therefore unenforceable. Civ. Code § 714(d)(1)(B). For planned developments with detached homes, the application of the Act is relatively straightforward because it applied to Systems that were installed on a homeowner’s “separate interest.” However, what was less clear was the extent to which the Act applied to homeowners within condominium developments. In a condominium development, a System would not be installed within or upon a homeowner’s separate interest. Rather, the System would be installed on common area components such as the roofs, garages or carports. This issue was at the heart of AB 634 which was signed into law in 2017. AB 634 amends Civil Code § 714.1 and adds Civil Code § 4746. Under the new law, which became effective January 1, 2018, associations are prohibited from establishing policies prohibiting the installation or use of Systems installed on the roof of the building in which the owner resides, or a garage or carport adjacent to the building that has been assigned to the owner for exclusive use. It also adds an exemption to the membership approval requirements associated with granting exclusive use of common area to allow for such grants for System installations. Civ. Code § 714.1(b)(1)-(2). In simple terms, condominium associations are no longer able to broadly prohibit Systems from being installed on common area roofs, garages or carports. 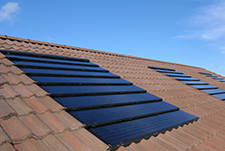 The Governor has signed AB 634 into law changing HOA control over solar energy system (“Solar”) installations. HOAs may no longer adopt policies and guidelines that prohibit Solar installations on common area roofs protecting HOA property and homes from damage and members are stripped of the right to protect common area property by membership vote. HOA’s must conform to a statewide, one-size-fits-all Solar policy summarized here. Civil Code § 714.1 now provides that Associations are prevented from . . . Requiring membership approval for an owner’s encroachment for Solar equipment on the common area. New Civil Code § 4746 declares HOAs reviewing requests for Solar installations on common area roofs of multifamily dwellings . . .
Civil Code § 4600 now includes Solar installations as an exception to the rule requiring approval of 67% of members before the HOA can grant exclusive use of any portion of the common area to a member. In light of AB 634, HOAs should have their legal counsel review their current architectural guidelines with respect to the installation of solar energy systems. -Blog post authored by TLG Attorney, Terri A. Morris, Esq. Vendor professionals frequently provide a variety of services on behalf of community associations and individual homeowners. Under California’s Constitution, unpaid vendors possess a legal right to lien the property upon which they work for the value of their rendered services or furnished material. AB 534 (Gallagher), effective January 1, 2018, seeks to clarify how mechanic’s liens are to be used in common interest developments by amending Civil Code Section 4615 and by adding new Civil Code sections. 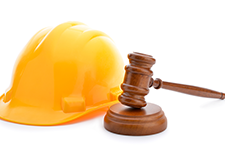 Under existing law, if a vendor intends to preserve the ability to impose a mechanic’s lien at a later time for work performed at a property, then such entity must first secure advance authorization from the property owner. Similarly, under existing law, a vendor seeking to enforce its claim to payment by way of a mechanic’s lien must notify the owner of the property which will be subject to a lien. In the context of community associations, ownership of common area property can take a variety of forms: that property can be owned by the association, or it can be owned by all of the homeowners jointly, as tenants in common. As such, the vendor is often burdened by the obligation to identify the legal owner of the common area property when attempting to obtain that advance authorization and when seeking to provide legal notice of an impending lien. AB 534 circumvents the challenges associated with identifying property ownership by imputing association authorization for a common area improvement to all members, and by making the association the agent for the members for purposes of receiving notices and claims during the lien enforcement process. Asked – I’m receiving calls regarding swallows nests. Folks want them removed. Pest control is reminding everyone they are protected and removing is punishable by law. We are in high time for swallow activity! Is there anything our HOA can do to address this issue? Answered – All swallows and their nests are fully protected under the “Migratory Bird Treaty Act of 1918” by state and federal regulations. It is illegal for any person to intentionally kill, injure, take, possess, transport, sell, or purchase them or their parts. It is illegal to intentionally destroy the nest, eggs or young of a swallow without a permit. If an adult swallow is occupying a half-built nest, or a fully built nest without eggs, then the law protects it. 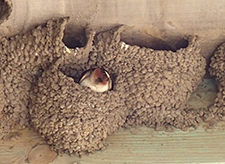 A permit is not required to remove swallow nests under construction that do not contain an adult, any new eggs or young, or nests abandoned after the breeding season. Permits to kill swallows or destroy swallow nests are only issued by the U.S. Fish and Wildlife Service, and only in very extreme cases. An example would be concerns for aircraft safety from a nesting colony at an airport. In most cases a permit for lethal control of swallows will not be issued for swallows nesting on a residence or other buildings and causing aesthetic damage. The best strategy appears to be preventing nest building by “exclusion”, meaning methods that deny physical access to the nest site area. Exclusion represents a relatively permanent, long-term solution to the problem, and California does not require a permit for this method if it is done before the birds arrive, during nest building when there are no eggs or young in the nest or after the birds have left for the winter. For methods of exclusion, please see the article “Living with Wildlife” published by the Washington Department of Fish & Wildlife. -Blog post authored by TLG Attorney, Terri A Morris, Esq. On April 7, 2017, Governor Brown signed Executive Order B-40-17, ending the drought state of emergency in most of California. Drought restrictions will remain in effect in Fresno, Kings, Tulare, and Tuolomne counties, which continue to face drinking water shortages and diminished groundwater supplies. The new Executive Order rescinds the emergency proclamations from January and April 2014, along with four drought-related executive orders. Over the last few years, the California legislature has passed several bills aimed at water conservation within community associations. AB 2100 amended Civil Code Section 4735 to prohibit associations from fining or threatening to fine an owner for failing to water vegetation or lawns during a state or local government-declared drought. SB 814 also authorized penalties for excessive residential water use during periods of government-declared droughts. Now that the state of emergency has been lifted, these laws are no longer in effect, provided the local jurisdiction has not declared a local drought. AB 2104 further amended Section 4735 to restrict an association from prohibiting low-water using plants as a group, and AB 349 amended Section 4735 to restrict an association’s authority to prohibit artificial turf. Although the drought restrictions have been lifted, this legislation protects homeowners from having to reverse or remove any landscaping measures that were installed in response to the government-declared drought. The State Water Resources Control Board (SWRCB) also adopted emergency regulations that subject associations to fines of up to $500 per day for violating the provisions of Section 4735. These regulations will remain in effect until November 25, 2017, or until they are modified or repealed by SWRCB. irrigating ornamental turf on public street medians. The SWRCB will continue to plan for future droughts and promote water conservation as a way of life, which may result in more legislation. Blog post authored by TLG Director of Business Development, Ramona Acosta. Once again the first of the year brings new legislation impacting common interest developments. The passage of Assembly Bill 2362 adds Civil Code section 4777 to the Davis Stirling Common Interest Development Act effective January 1, 2017. The intent of this bill was to require the same written notification of pesticide application to separate interests and common areas of common interest developments by a non-licensed pest control operator (i.e., the association’s general landscaper) as residents would receive under the existing law for pesticide application by a licensed pest control operator. You may recall in 2014 California Code of Regulations (CCR) Sections 6000 through 6619 were adopted to govern pesticides and pest control operations. 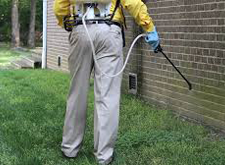 Under Section 6618(b)(1) association vendors that perform pest control services are required to provide associations with certain information concerning the application of pesticides, and associations are required to distribute that information to their residents on a regular basis. The new Civil Code section 4777 requires associations applying pesticides to a separate interest or the common area by an unlicensed pest control operator to notify the owner and tenant of the affected separate interest, and if the operator will be using a broadcast application (spreading pesticide over an area greater than two square feet) or using total release foggers or aerosol sprays, to notify the owner and tenants of adjacent separate interests that could reasonably be impacted by the pesticide use. The notice must contain the pest(s) to be controlled, the name and brand of the pesticide product to be used, the date, time and frequency of application (stating that the date, time and frequency are subject to change), and a healthy and safety statement to be copied into the notice. A copy of the written notice must also be attached to the minutes of the next association board meeting. Where pesticides are to be applied to a separate interest, at least forty-eight (48) hours prior written notice must be given to the owner and tenant of the separate interest, along with any adjacent impacted owners and tenants. For applications to the common area, notice must be posted in a conspicuous place near the area to be treated, if practicable, otherwise, individual notice must be given to the owner(s) and tenant(s) of the separate interests adjacent the common area to be treated. Notice to tenants may be accomplished using first-class mail, personal delivery to a tenant at least 18 years old, or electronic delivery if the tenant has provided an electronic mailing address. Section 4777 also provides helpful definitions for terms including pest, pesticide, licensed pest control operator, and broadcast application, and the statute authorizes owners and tenants to agree to immediate pesticide application when necessary. Blog post authored by TLG attorney, Terri A. Morris. California is experiencing the worst drought in over a century. As a result, the California Legislature has enacted a number of laws aimed at water conservation. Existing law requires the Department of Water Resources and the State Water Resources Control Board to take appropriate actions to prevent unreasonable water use. 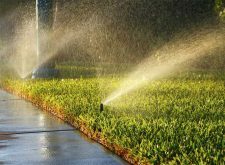 To further the goal of preventing unreasonable water use, Governor Jerry Brown signed into law new legislation prohibiting excessive water use by residential customers during a drought (SB 814). Specifically, SB 814, which adds Chapter 3.3 to Division 1 of the California Water Code, requires “urban water suppliers” to “establish a method to identify and discourage excessive water use.” (Water Code § 366(b).) Accordingly, a water supplier may adopt one of the following methods: (1) a rate structure using block tiers, water budgets, penalties for prohibited uses, and rate surcharges, or (2) an ordinance, rule or tariff (collectively, “Ordinance”) that defines the procedure by which water suppliers are to recognize and deal with excessive water use. A violation of an Ordinance is punishable by a fine of at least $500 per one hundred (100) cubic feet of water, or seven hundred forty-eight (748) gallons, above the established threshold. 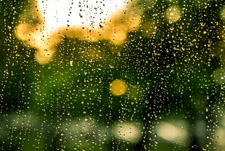 In light of the foregoing, Associations should be mindful of the new prohibition against excessive water use, especially in condominium projects where the units are not separately metered. Blog post authored by TLG attorney, Matthew T. Plaxton. 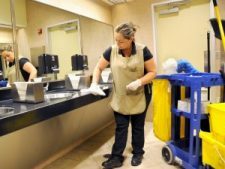 It requires employees and employers of janitorial businesses to participate in a biennial in-person sexual violence and harassment prevention training course. The course is to be developed by the DLSE by January 1, 2019. Any janitorial business which does not have a current and valid registration is subject to a fine of $2,500.00. Additional fines may be imposed including a fine of $100.00 for each calendar day that the business is unregistered with a maximum fine of $10,000.00. Businesses (including Homeowner Associations) which contract with unregistered and unlicensed janitorial businesses are subject to fines of $2,000.00 to $25,000.00. How will you know if the janitorial business is registered? The DLSE is required to maintain an online Janitorial Contractor Registry which is to be a public database of property service employers on the website of the Department of Industrial Relations (“DIR”) including the name, address, registration number, and effective dates of registration of all janitorial businesses. AB 1978 was signed into law on September 15, 2016, and becomes effective on July 1, 2018. Be proactive: Verify online through the Janitorial Contractor Registry that your janitorial workers are employed by a licensed janitorial business. If you don’t, your Association may be subject to fines of $2,000.00 to $25,000.00. Blog post authored by TLG attorney, Bruce R. Kermot. FindHOALaw is a robust resource for HOA law and legal information. Its substantial volume of content and easy-to-use interface help users better understand the unique body of law governing HOAs in California.